It’s not a secret that colors have a huge psychological impact on us. Bold colors can trigger our stress response and cause tiredness, while soft colors might have a calming and soothing effect on our mood. Moreover, surfing the Internet for a long time tires our eyes and coming across a website with soft color palette might become a truly relaxing moment. Having well-matched colors and professional attractive design is extremely important for any business website. If you are on the threshold of creating a website for business, think of the right color options that will be inviting and attractive for your visitors and make them dwell on your site. In this case opting for ready-made responsive WordPress templates, that have features mentioned above, might be the right solution. 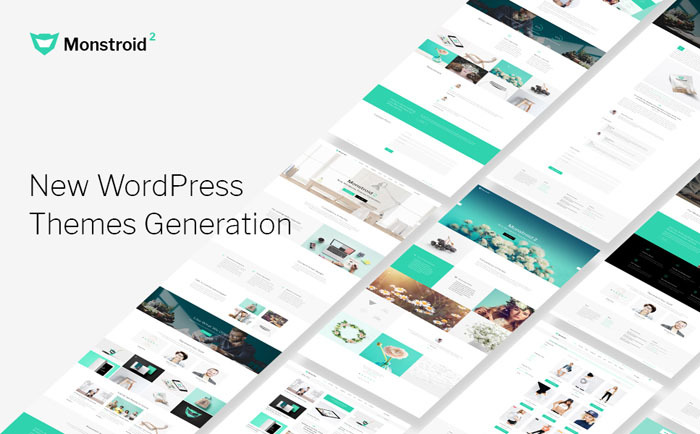 Not only they have a top-notch design, WordPress themes also have terrific functionality. And we are going to find out more about the benefits of WP templates for your business. Ready-made themes have various content managing systems. Everything depends on how technically advanced is the business owner. If you have no technical skills and you are a complete beginner to the sphere, opt for WordPress, which is the easiest content managing system ever. WordPress is extremely easy to use and learn its admin panel. Moreover, WordPress themes can be considerably extended by multiple plugins. Each theme can also be changed immensely with the help a UI kit of handy tools. You can freely change color options, layouts, styles, dynamic and static elements etc. WP themes stand out due to their fascinating design and rich functionality. Developers pay special attention to the color palette of the themes they offer. Theme colors always correspond to the purpose of the site and the overall design is impeccable. Most themes are equipped with engaging elements like Parallax effect and eye-catching animation that make visitors stay longer on your site and leads to conversion. WP templates are compatible with WooCommerce plugin that allows creating an online store at a rapid-fire pace. Moreover, most of the themes are optimized for search engines and are reliably on the top of every search within your niche. As a result, you have a successful selling website that promotes and boosts your business. Since we are so dependable on our mobiles in our everyday work, and we more often search for information of interest using mobile devices, you should care for your website’s responsiveness. It means that your site should be able to rearrange itself and fit into the screen regardless of the screen size. Responsive design of WordPress themes allows them to look terrific on any device, which is one more indispensable feature. Thus, we would like to offer 30 soft colors templates to relax your eyes, that might be intriguing but at the same time inspiring for your business initiative. 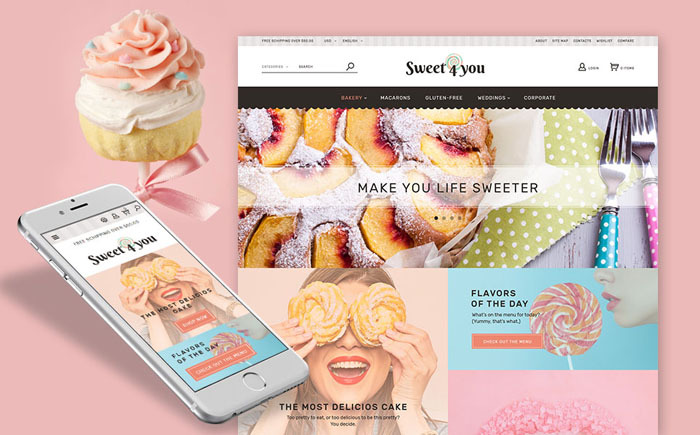 Such a delicate pre-made design serves perfectly well to showcase your delectables and will give you an opportunity to sell your delicacies online. You are free to customize its design just in a few clicks using drag-and-drop tools. Moreover, 25 pre-designed modules allow effectively introduce all the aspects of your business including team members and services. 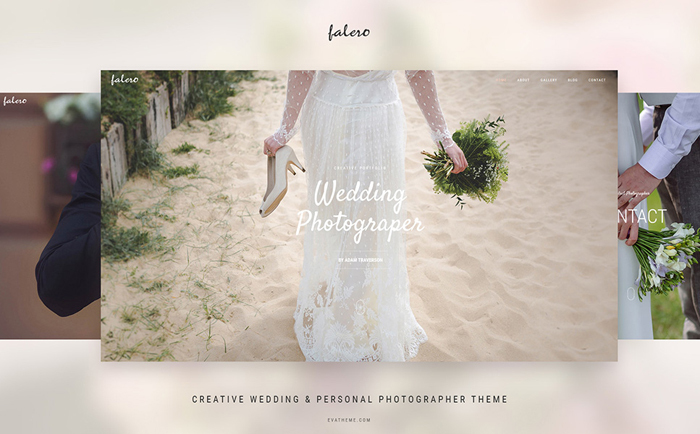 This functional theme with delicate soft design will make a perfect portfolio for a photographer. The clean design and Parallax animation will easily catch your visitors’ attention. You can showcase your best works with the slider, and represent all your projects with special pre-made Cherry pages. Being a fully responsive, the theme is easily accessed via mobile devices and works perfectly well across all browsers. 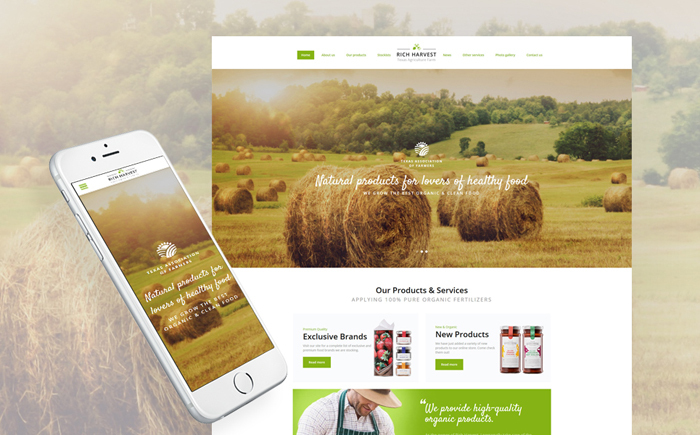 Take advantage of this fully-featured theme with clean design and WooCommerce functionality allowing to create an online shop. WordPress Live Customizer enables you to modify the design of your website in real-time without any coding knowledge. The theme is SEO-friendly, optimized for fast work and ready to be translated into different languages. It comes with detailed documentation and friendly long-term support. 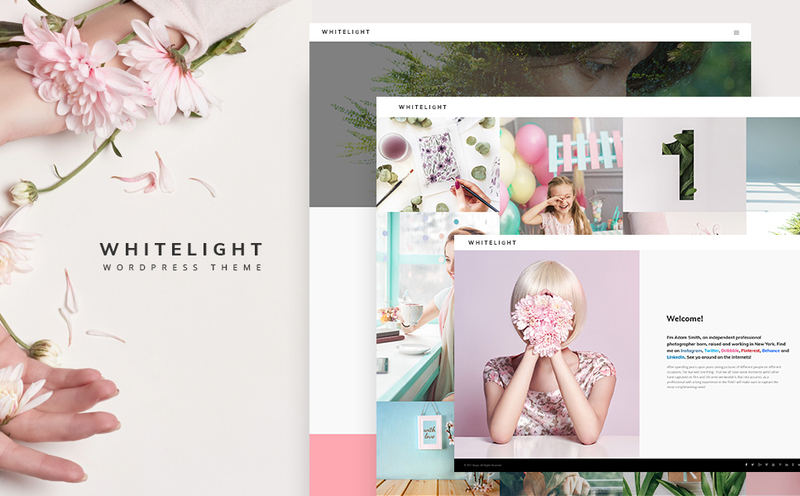 Showcase your professional photographer’s portfolio with this visually rich theme. You’ll draw your visitors with terrific Revolution slider and a stunning flexible gallery. Its Visual editor allows taking full control over page creation and editing the design without any coding skills. It will look beautiful and stylish on any device thanks to its responsive design and retina-ready imagery. 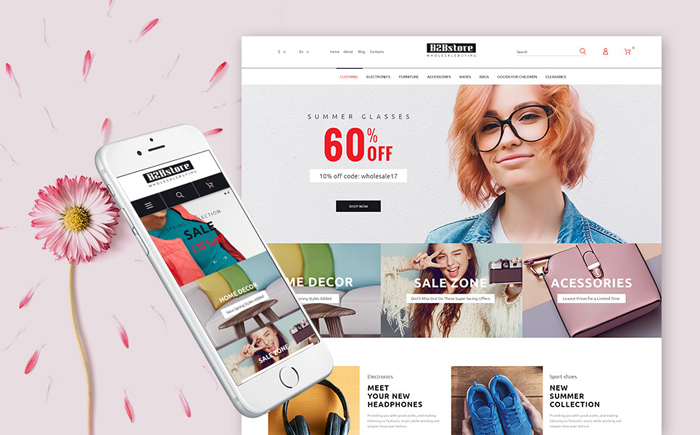 Provide your visitors with dynamic browsing and shopping experience using this terrific theme with online store functionality. You will enjoy an easy customization with a drag-and-drop interface as it requires no technical know-how. The theme allows choosing from dozens of content modules and arranging them using a flexible layout system. As a bonus, you get 15 topical flower business images that will ideally fit your website. 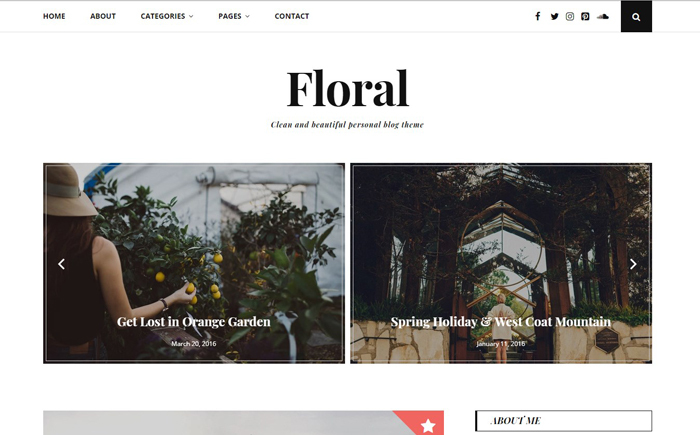 This stylish and neat-looking theme was crafted for personal blogs and boasts a clear and readable design. The theme is responsive that ensures its high-quality functioning on all modern gadgets. 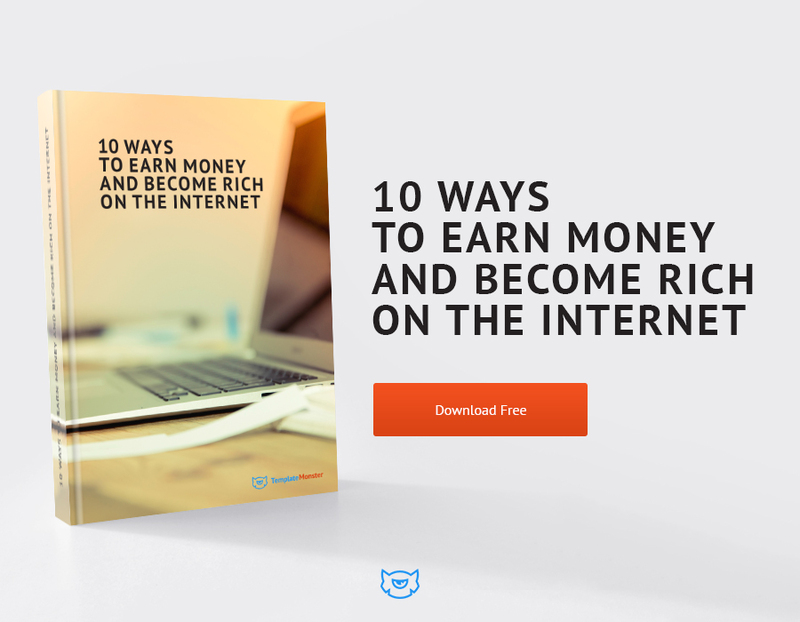 It supports various posts formats and social options to reach as many readers as possible. 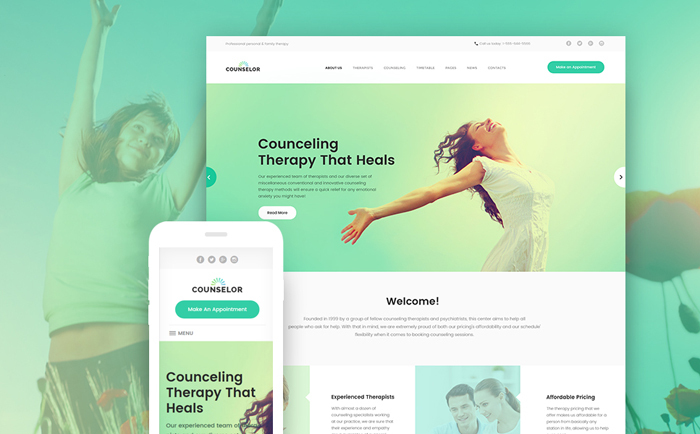 This light-weight airy WordPress theme will help to introduce counseling services on its numerous pre-made pages. The overall clean design and color palette has a soothing effect and invites to relax browsing the site, and a user-friendly navigation adds to this effect. The theme is flexible and editable due to a drag-and-drop page builder. A handy appointment manager allows your clients arrange a meeting on-the-go. 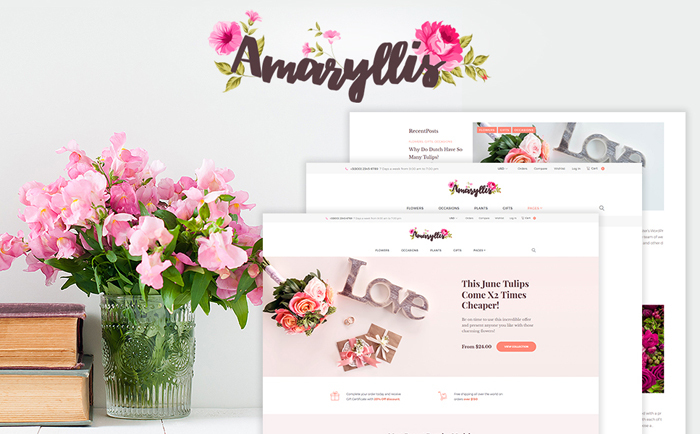 Use this fresh and delicate theme is an excellent solution for starting an online store. The theme is visually backed with Parallax animation and is equipped with a grabbing attention gallery with carousel and slider to showcase your goods. Above that, it supports most popular languages and main currencies. 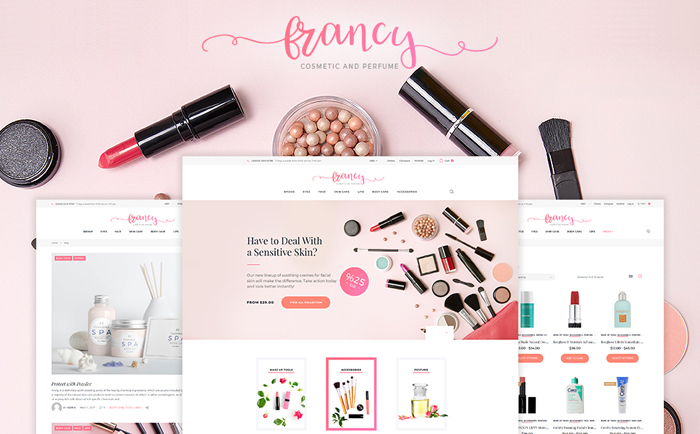 Make use of this stunning responsive beauty theme WordPress to set up an online store specially designed for beauty products. It has perfect typography and clean layouts, grabbing attention gallery to showcase your products. The template features multilingual and multi-currency support for the favor of your business and goes with rich documentation. 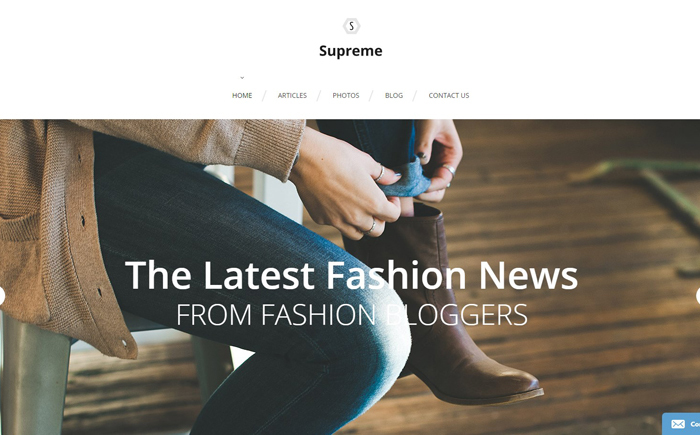 Pay attention to this light-weight and stylish theme with a stunning background video developed for fashion blogs. A sticky menu and back to top button make the navigation user-friendly. Being built with Bootstrap, this breath-taking template has benefits of retina ready and responsive design that ensure its awesome look on any screen. Try this nice multipurpose theme in clean minimalistic design for building a website for any kind of business. It boasts endless possibilities for customizing, an array of pre-designed pages and rich typography options. It is equipped with E-commerce module if you need to set up an online store, a live chat module, a log and a forum. It is fully responsive and will look and perform great on any screen. 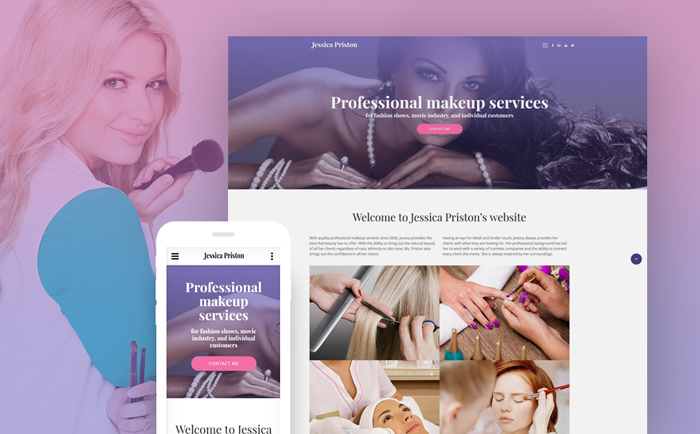 Promote your makeup services all over the web with this glamorous theme. Its clean design together with amazing Parallax and smooth navigation presents your visitors’ unforgettable browsing experience. The pre-built testimonials module and a gorgeous gallery will help to seamlessly guide a visitor to become your loyal client. The theme goes with handy social integration, rich customization tools and 100% responsive design. 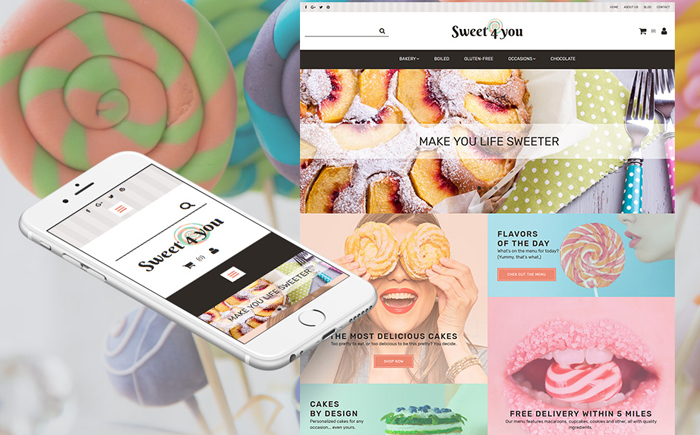 Showcase your culinary creations using this mouthwatering stylish theme equipped with exclusive e-commerce module to set up an online store. It goes with 3 homepage layouts and 4 color schemes, and Advanced MegaMenu tool helps you create customizable menus in an easy fashion. It ensures hassle-free shopping with handy Ajax Cart, categories accordion, sorting options, TM Header Account, Ajax Wishlist, multilingual and multicurrency support. 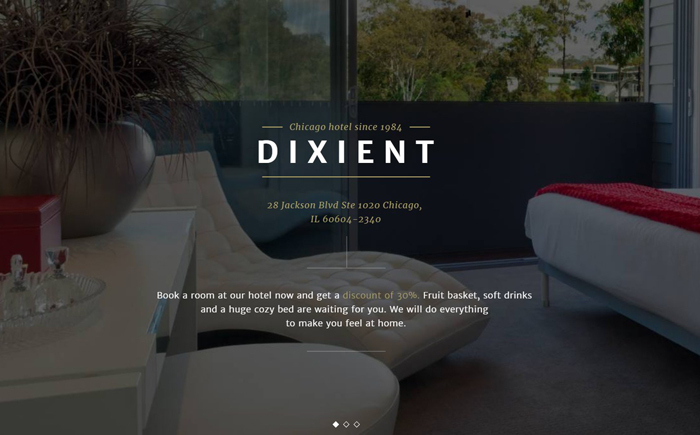 Showcase your hotel in the best light thanks to this trendy template with website slider. Your clients will make use of a live search and an integrated Google map. A commenting system and social options will be convenient to get a feedback from your clients. The valid code ensures your site fast performance and it will look perfect on any screen due to responsive design. 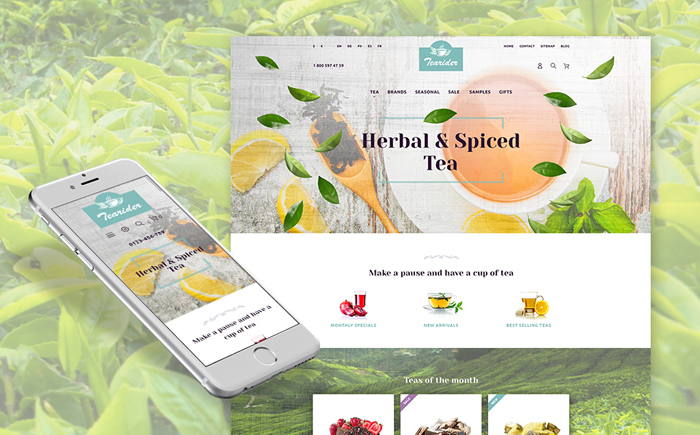 This top-notch responsive template with charming TM Parallax is a candy for an eye, and it is ready to become an utterly convenient and profitable online store. It has a pack of convenient customizing tools and TM Mega Menu module allowing building a menu of any complexity. It supports most widespread European languages and currencies and is extremely convenient in use. 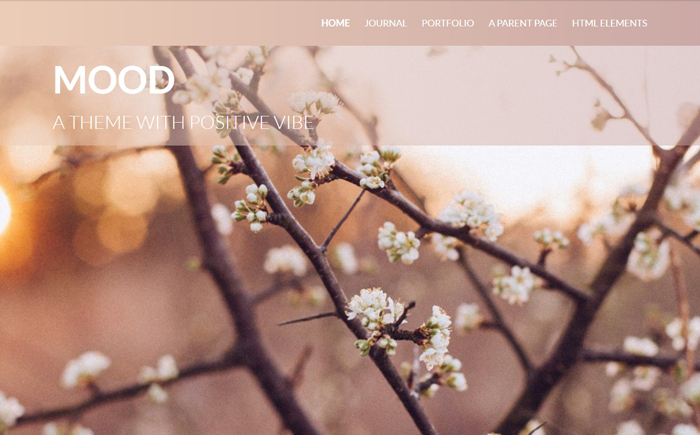 Meet another outstanding theme for a personal blog or magazine which boasts clean and minimal design, readable typography and support for various Post Formats. 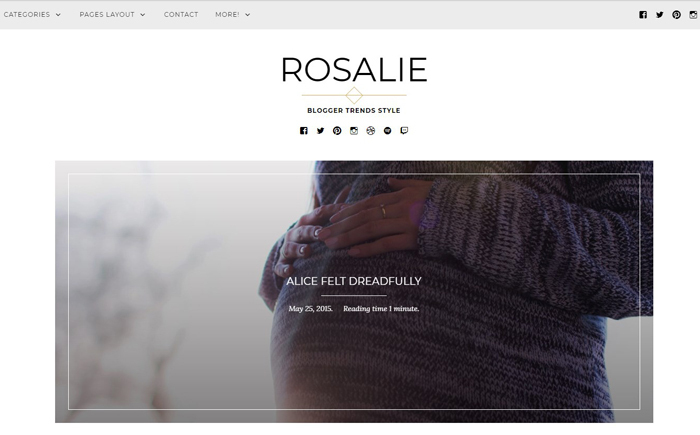 The theme is flexible and you can easily change color schemes, layouts, and the background. It allows adding any type of content such as images, video, and audio, and will engage an audience thanks to Post Slider and social links. This delicately crafted template will provide you with all necessary tools to create a business or portfolio site. It comes with full-width featured images, image carousel, unique layouts, and a versatile custom front-page which you can modify to your taste, Its responsive design work smoothly across all devices and screen sizes. This unique-looking exquisitely crafted theme is easily adjustable to any business as it is SEO friendly and translation-ready. It will fit every screen, whether it’s a desktop or mobile thanks to its responsiveness. The Customizer tool lets you tweak the color of the theme, change the logo and header of your website, place banner ads etc. You can supply your visitors with easy navigation thanks to a sticky menu. 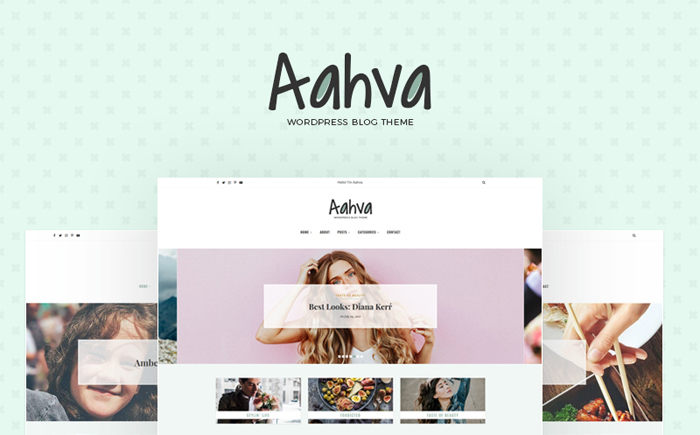 This elegant clean theme is specially developed for blogging and it goes with a rich variety of smart customization options and unique one-click installation. It has 100% responsive design and cross-browser compatibility. You are free to choose between 3 Posts Layout Style and 3 main layout styles and can enable built-in elements like a Featured post slider and Category boxes. Above that, it is SEO Optimized and has link to social media profiles. 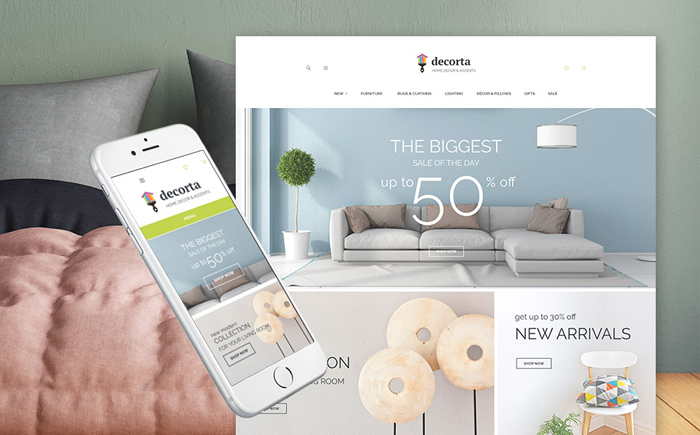 Meet a cutting-edge template with pastel color palette developed for selling bedroom accessories online. It boasts a bunch of TM exclusive modules to help you manage the store, engaging Parallax effect, valid professional code, responsive sliders, live chat module, and abundance of other modern features. It is fully responsive and will look and perform equally great on desktop, mobile and tablet. This is a distinguished multipurpose theme with endless possibilities for building a unique online store for any kinds of products. It goes with a set of editing tools and UI elements, and over 25 ready-made HTML pages to highlight all the details of your business. It provides visitors with user-friendly navigation due to drop-down menu, back to top button, and stunning Gallery styles gives them terrific browsing experience. 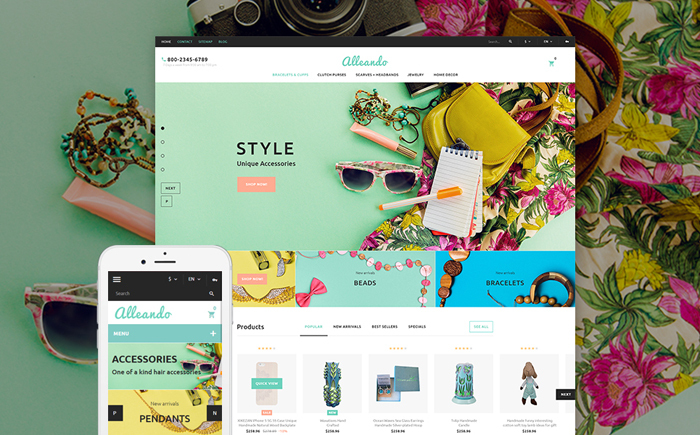 This beautifully crafted theme will surprise you with a full spectrum of e-commerce features serving to set up a thriving online store. It will boost your sales thanks to multicurrency and Multilanguage support. The rich UI kit serves for easy customization of any element on every page and you create a menu of any complexity thanks to TM mega menu builder. 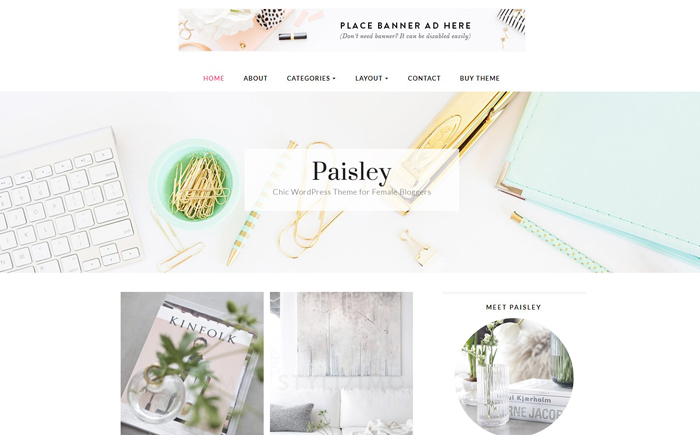 This charming theme was created with user’s convenience in mind and its guarantees seamless browsing and shopping on the site. It goes with a filterable gallery, eye-catching animation, efficient sliders, banners and widgets for social media integration. Quickstart Package and detailed documentation allows you to install the theme on the fly. 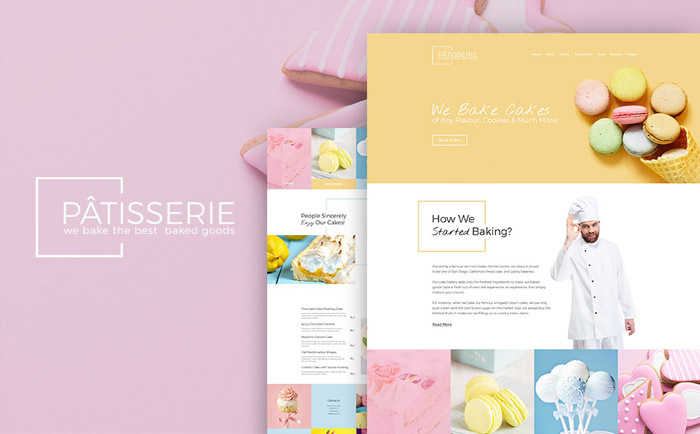 This well documented multipurpose theme can be adapted to any business, and it boasts lots of pre-made pages that are ready to go out of the box. It is e-commerce ready, search engine friendly, cross-browser compatible, and has a responsive design. The theme is supplied with a sortable gallery with sliders, which is convenient for highlighting your produce. Meet an extremely flexible responsive theme with 9 pre-made designs that give you freedom in representing your business online at its best. An impressive slider is embedded in the header and immediately attracts the attention of your visitors. The theme goes with convenient widgets for your front page: timeline widget, the latest news in a carousel, a new employees widget etc. Moreover, the theme is equipped with WooCommerce plugin, so you can start selling online at any moment. 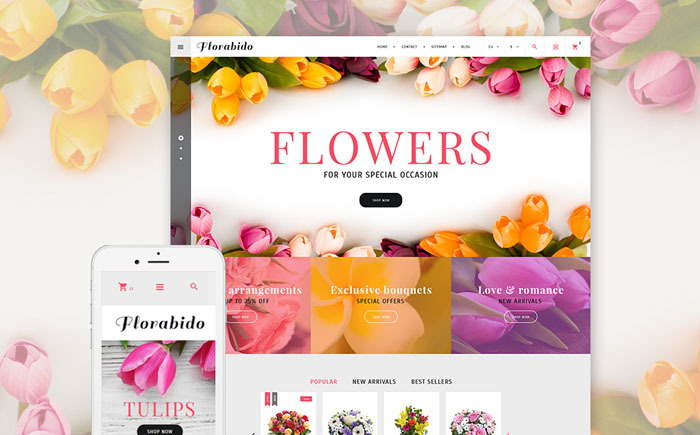 Look no further than this exquisitely designed theme if you need to promote your florist services on the web. 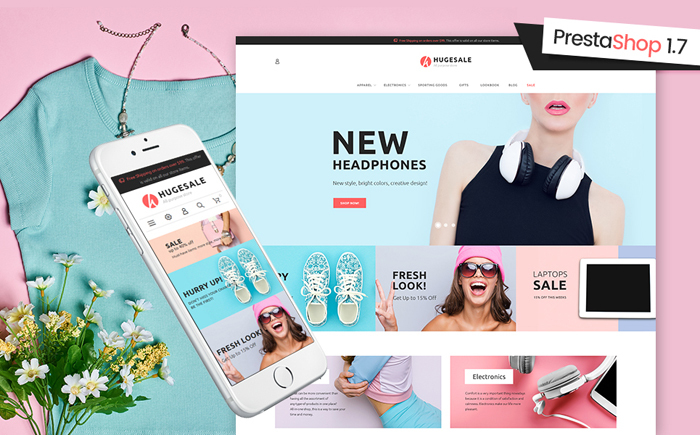 It has eye-catching design supplied with Parallax and rich e-commerce functionality including Product Carousel, Product Badges, crossed prices, star rating, quick preview, and Wishlist & Compare plugin. 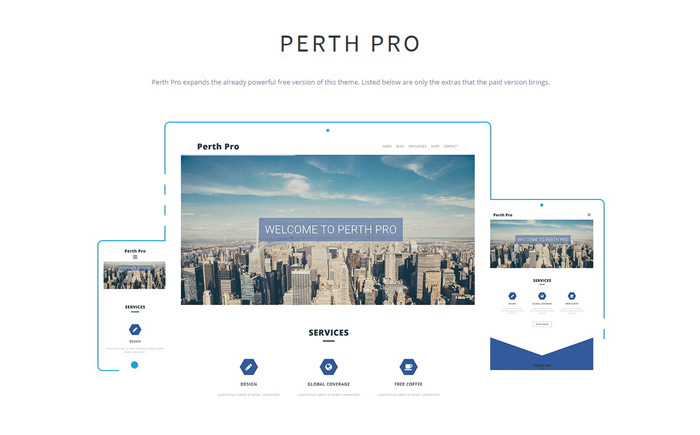 The theme goes with several ready-made layouts to choose from, lots of ready paged to introduce your business and Multilingual and Multi-currency support. 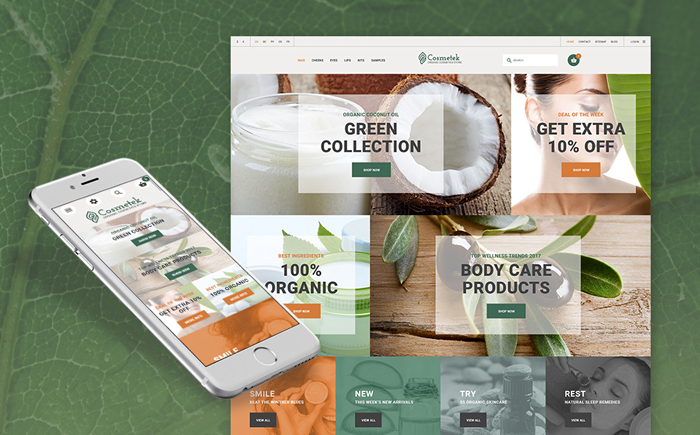 Make your store popular with this perfect selling template with placative clean design and a variety of ready TM modules that extend its functionality. Enjoy easy customization process with TM Mega Layout Builder, Megamenu extension and Theme color switcher allowing you take full control of the site. Your visitors will enjoy their shopping with Ajax-based search and Ajax shopping modules. Let this cozy responsive theme present smooth browsing and top-notch user experience to your visitors. It goes with e-commerce module allowing you to launch a profitable online store quickly and effortlessly. The theme offers handy tools for easy customization of any element on every page. It supports different currencies and languages and has a terrific set of TM modules included. 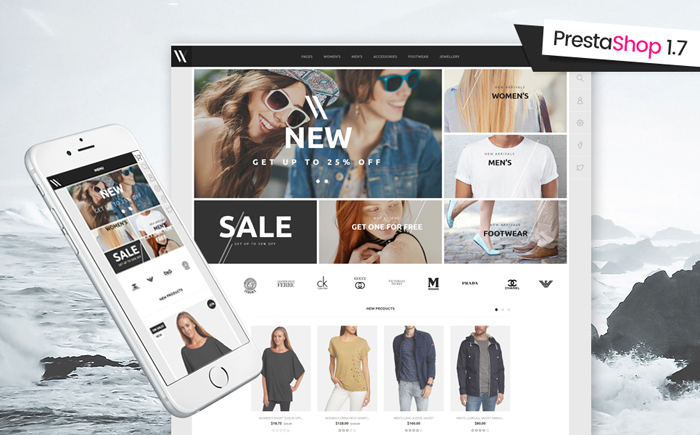 Don’t miss this trendy well-documented theme with WooCommerce integration, which makes it ready to become a selling online store. Thanks to a responsive layout, the theme is completely mobile ready and seamlessly work well on any screen resolution. It is compatible with most browsers, optimized for fast performance and has a pack of custom widgets with which building sites becomes fun. Make a point of this extremely trendy and eye-catching theme with a touch of parallax effect and 42 creative animations. You’ll set up the most successful online store with magnificent e-commerce possibilities. It goes with flexible layout and a UI kit allows you tweak the theme to your liking. By means of MotoPress Slider, you can create an irresistible presentation of your products. The theme is optimized for fast performance and allows regular updates. This is merely a glimpse of the best soft colors templates from TemplateMonster. 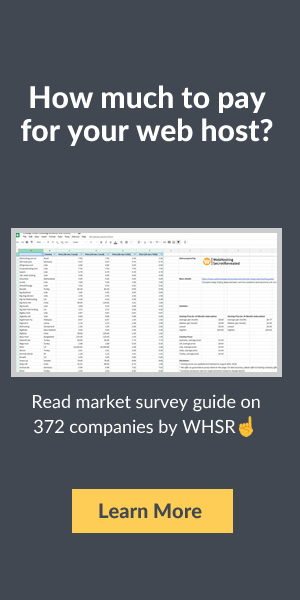 Don’t hesitate to explore the full variety of features of the templates mentioned above and make sure you get everything you need for doing a successful business!